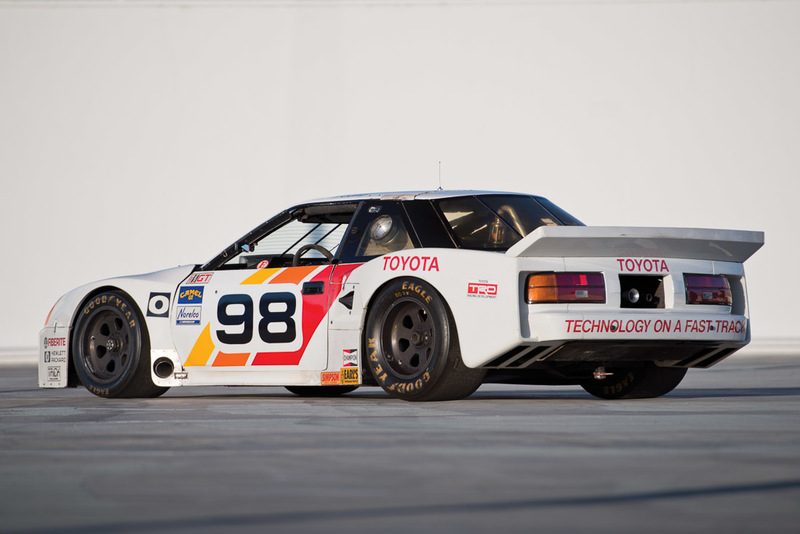 This car is the stunning result of the colaboration between Toyota and All American Racers in the 1980’s. 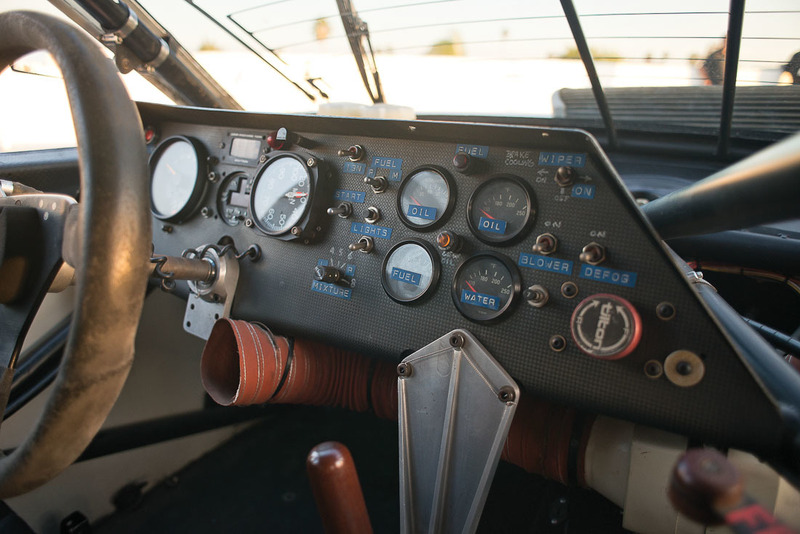 Founded by Dan Gurney and Carroll Shelby with backing from Goodyear, they had enjoyed success across IndayCar, F1 and other glbakl series before teaming up with Toyota, who had a desire to compete in the IMSA GT Championship. 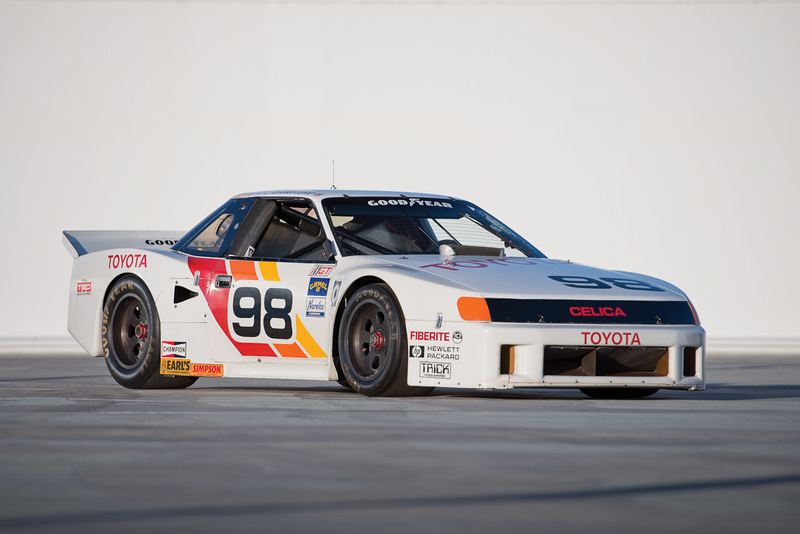 In 1983,the AAR and Toyota partnership competed in the series’ entry-level GTU class, and by 1985, they had won 10 races. 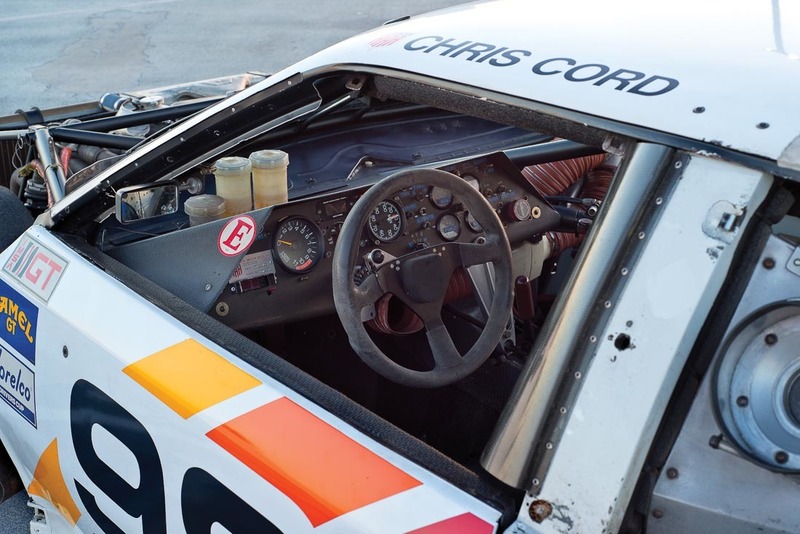 Coinciding with the launch of the next-generation T160 Celica, the decision was made to move up and compete in the GTO, or Grand Touring Over 2.5 liters, class. 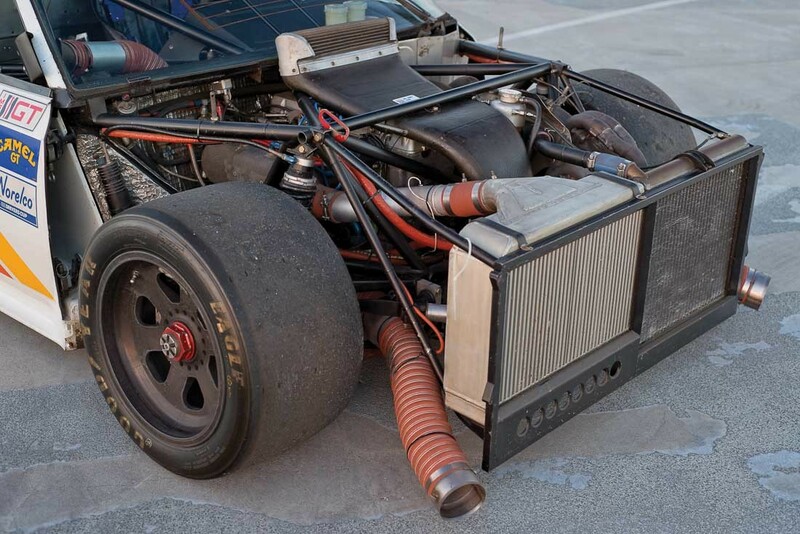 This car, chassis 86T-002, was completed in July 1986 and built to, and beyond, the framework of the rulebook. 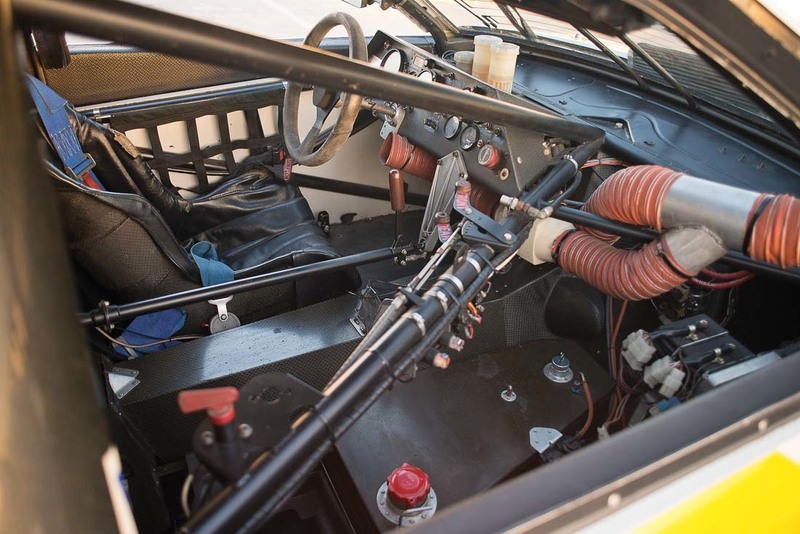 At its heart was the legendary four-cylinder Toyota T engine, which, in various forms, saw duty in everything from Formula Two, Formula Three, Group B rally, and World Rally Championship competition. 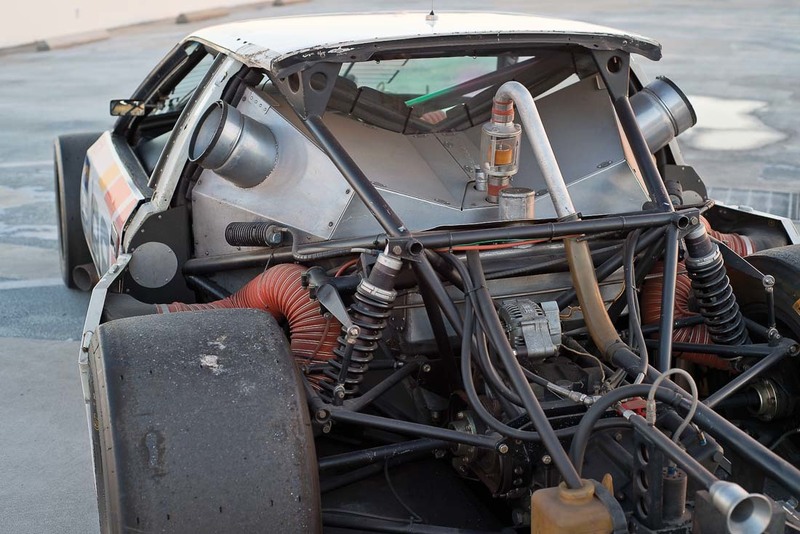 The GTO implementation made near 600 horsepower before IMSA-mandated restrictions were added. 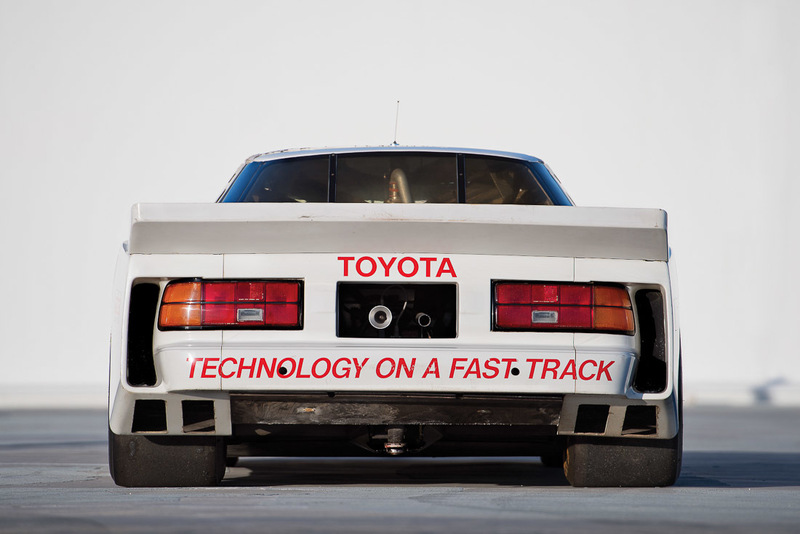 Like many GTO racers, it is a ‘Celica’ in name only. 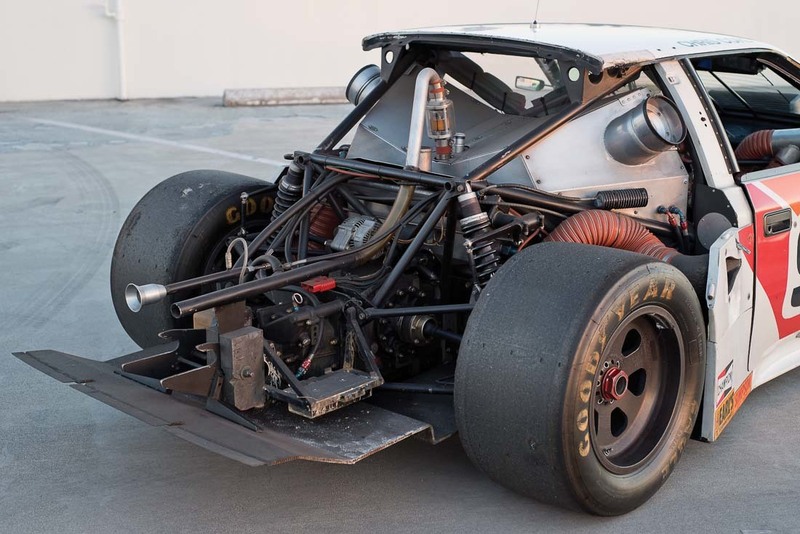 AAR built a tubular space frame machine that had a rear-drive chassis, a rear-mounted Hewland transaxle, and enough bodywork modifications to create the silhouette of the road car. 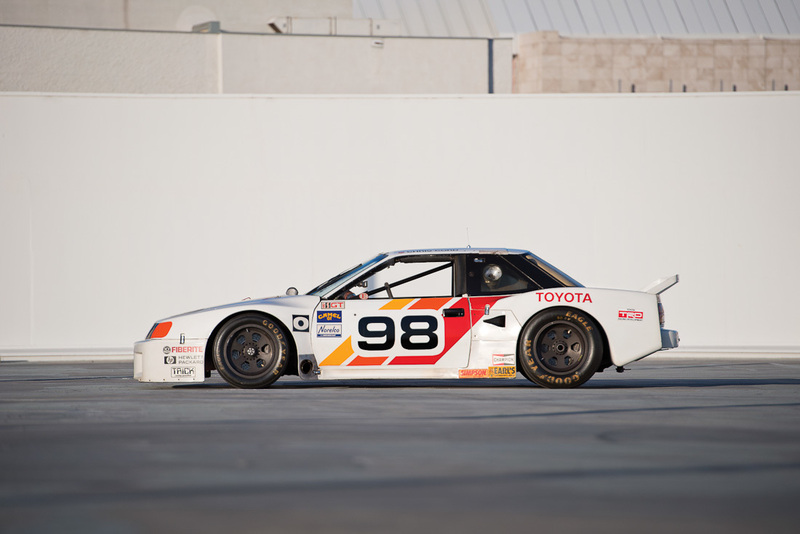 After the program concluded in 1989, this car was sold directly by Toyota Motor Sales U.S.A. to their championship-winning driver Chris Cord, and it now incorporates all of the latest performance developments, including a revised suspension setup, a carbon fiber body and driveshaft, a more robust gearbox, and aerodynamic improvements. 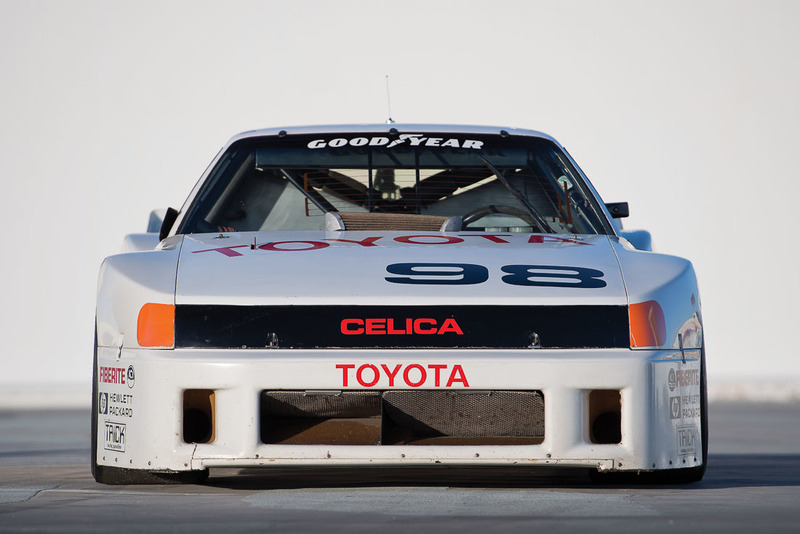 With only three owners from new, including Toyota, this mighty Celica IMSA GTO is being offered from a prominent Southern California collection. 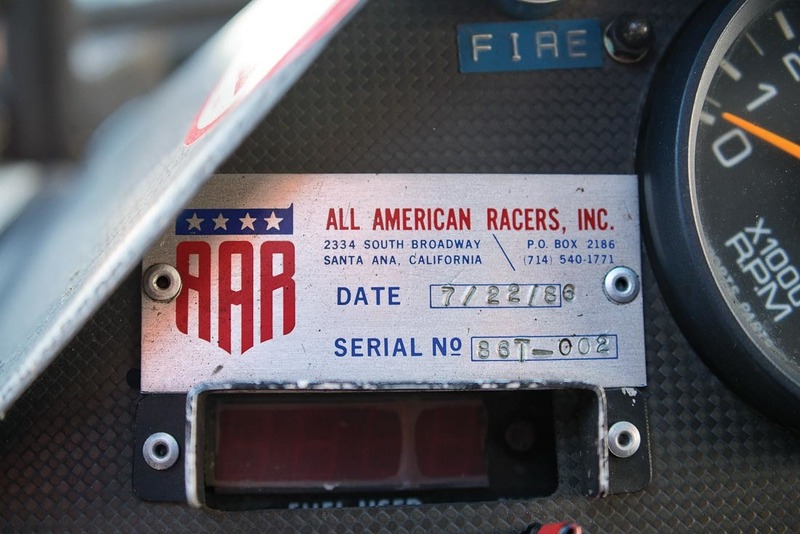 For sale at the forthcoming Scottsdale RM Auctions sale in Arizona. 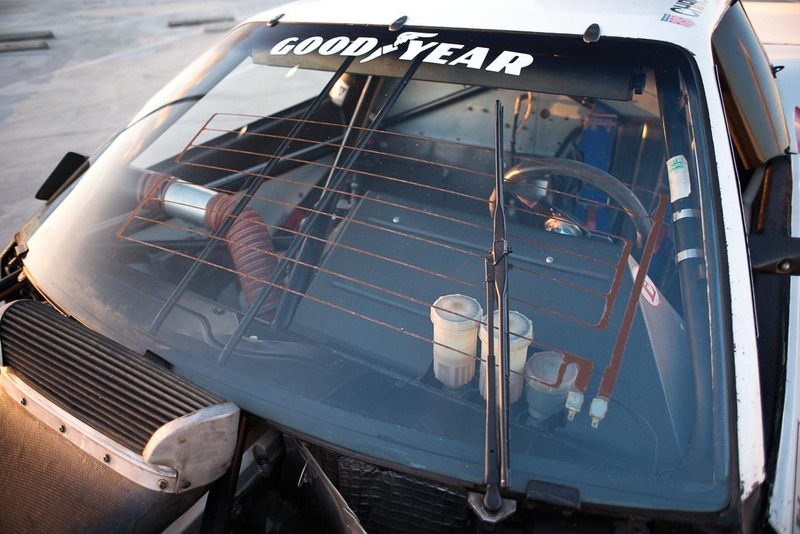 We’re not quite sure how authentically in period this car remains with some of the develppments since it was built, it could probably be returned very easily to the stock IMSA regs of the period. 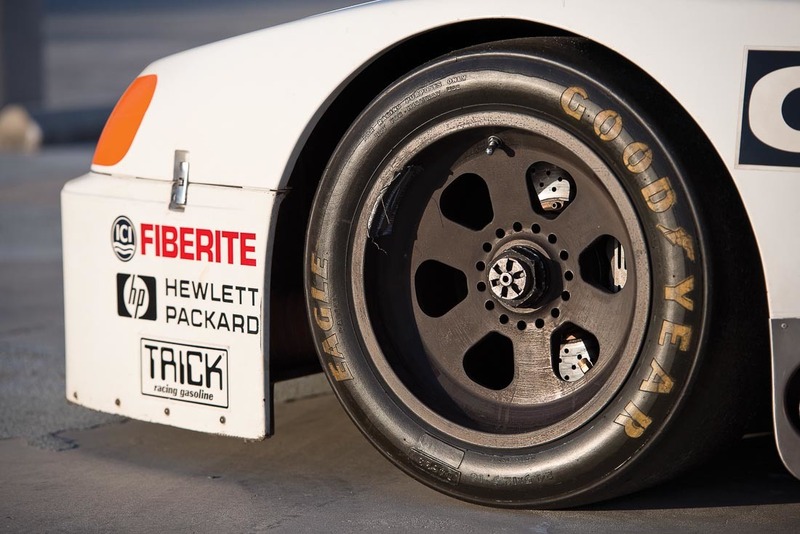 For sure it’s a great looking car that must surely find a space on the grid of the many USA historic racing championships.